The shine is fantastically luminous with outstanding longevity. The pay-off is opulent and gorgeous in two coats. The application remains extremely easy and seamless for a perfect colour distribution with even coverage. 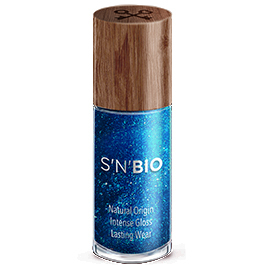 It is the new generation of nail polish combining nature and quality at the finest outcome. S’N’BIO is composed of certified 85% natural-origin ingredients such as potato, corn, wheat, manioc, sugarcane and cotton.